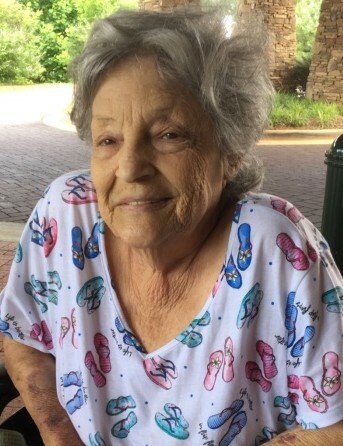 Catherine Carol (Watts) Rogers, 75, of Charlotte passed away September 11, 2018 at her residence. She was born in Franklin, NC on December 20, 1942 to the late Carl and Hazel Thomas Watts. She is also preceded in death by brothers, Donald Watts, William Watts, Michael Watts, and Delma "Dimples" Waters. Catherine enjoyed playing bingo often with her sister, enjoyed the beach, and loved her canine pets, Buddy, Tubby, and Scuffy. Catherine is survived by her sons, Brian Moore and wife Ellen of Maryland, Ricky Moore and wife Sandy of N. Myrtle Beach, SC, and Scott Moore of Gaffney, SC; sisters, Geraldine Watts and Edith Watts of Charlotte, NC; brother, Martin Watts of Gastonia, NC; 10 grandchildren, 11 great grandchildren; and numerous nieces and nephews. A graveside service will be held Thursday, September 13, 2018 at 12:00 p.m. at Greenwood Cemetery in Belmont with Chaplain David Montgomery officiating.